Improve the overall condition of your health with cardiovascular treatment from Cardiology of Virginia. 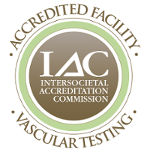 Our Midlothian, Virginia-based center provides cardiac testing for our clients and patients. Testing and monitoring can provide valuable information regarding your cardiac health. Your physician has referred you to us for a cardiovascular stress test. This type of test increases your heart rate, either with exercise of by use of a medication, in order to see how your heart responds. During the test your heart is monitored by electrocardiogram (EKG). You will be asked to remove everything from the waist up and put on a gown. The sticky EKG electrodes are applied to your chest and waist and remain throughout the stress portion of the test. Your blood pressure will also be recorded. During the exercise portion of the test you will be asked to walk on a treadmill. Every 3 minutes, the incline and speed of the treadmill increases, causing more stress on your heart and body. Performing to the best of your ability will ensure the test results are accurate, but you should let us know if you have any symptoms (chest pain, shortness of breath, feeling faint, etc.) or if you are too tired to continue the test. In pharmacologic stress tests, medications are administered to stimulate the heart in the same way as walking on a treadmill. Both are safe and effective ways to stress and evaluate your heart. When you have a stress echo, prior to the stress portion of the test, our sonographer will take an ultrasound of your heart. The technician will apply gel and press a probe on your chest to obtain the “resting” images. If a contrast agent is needed to see your heart better, an IV will be started. Small amounts of contrast will be injected. As soon as the stress portions of the test is complete, our sonographer will immediately take pictures of your heart under stress. 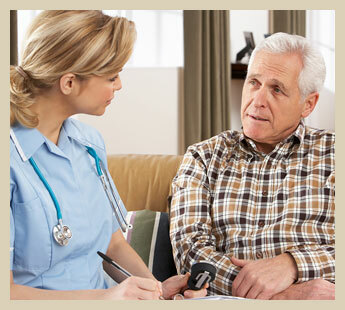 We will continue to monitor your blood pressure and EKG until you feel the way you did prior to the test. The images of your heart during rest and stress will be correlated with your EKG tracings. Our physicians will review the test results and report their findings to you and your primary care provider in a timely manner. 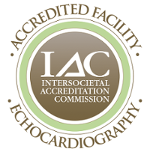 Note that, during an echocardiogram, the ultrasound images are taken without stressing your heart. 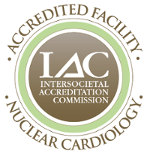 Nuclear cardiology involves the use of a radioactive tracer to detect blood flow to the heart. This tracer will be out of your body in a few days. Prior to the stress portion of your test, our technologist will start an IV in your arm to administer the tracer. You will have your heart stressed either through exercise or medication. After the stress portion is completed, you will have the electrodes and IV removed. You will wait in the waiting room for 30-60 minutes, then be brought into the nuclear camera room where the technologist will take pictures of your heart. This will involve lying on a table with your arms above you head while a camera rotates around your chest about 20-25 minutes. Most patients need to have a second set of pictures taken. This is the “resting” portion of your test. This second set will be taken either on the same day or will be taken on another day, depending on the physician’s order. Radioactive tracer will be injected into your vein. You will be asked to wait in the waiting room for approximately 45 minutes after which another set of pictures will be taken. The picture will take 20-25 minutes. » Wear comfortable shoes and 2-piece exercise attire (i.e. shorts and t-shirt). » Bring all your medications and over-the-counter supplements in their original bottles to your appointment. » Have nothing to eat or drink four hours prior to your scheduled appointment. » No caffeine, decaf, or tobacco products 24 hours before your testing appointment. » On the morning of your scheduled test, take all of your regular medications as you normally do with a small amount of water unless otherwise instructed by your healthcare provider. » If you have diabetes, please consult with your primary care provider for specific instructions on how to take your diabetic medications the morning of the test. » The test will take approximately two hours, four hours for nuclear; please plan accordingly. » If you are pregnant or think you might be pregnant, or if you are breast feeding, please let your doctor know before the test.